The author would like to thank Dwayne Day for corrections. The USSR's first attempt to launch its giant N1 rocket on Feb. 21, 1969, ended in a crash, but its creators do not give up hope just yet. 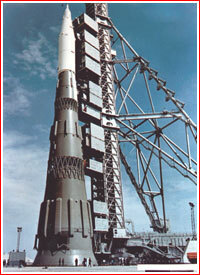 The USSR's colossal N1 Moon rocket lifts off for the first time on Feb. 21, 1969, at 12:18 Moscow Time. At the start of 1969, the undeclared Moon Race between the USSR and the US entered its final leg, as American astronauts returned from a historic flight around the Moon the previous December and were now preparing to fly two final "practice" missions before the ultimate lunar landing. In the meantime, behind a veil of secrecy, their late-start Soviet rivals had never had a chance to catch up, yet they kept running as hard as they could. 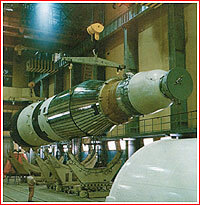 The single biggest hurdle on the Soviet road to the Moon at the turn of 1969 was the first flight of the giant, yet underpowered and untested N1 rocket, which was supposed to launch cosmonauts to the Moon. 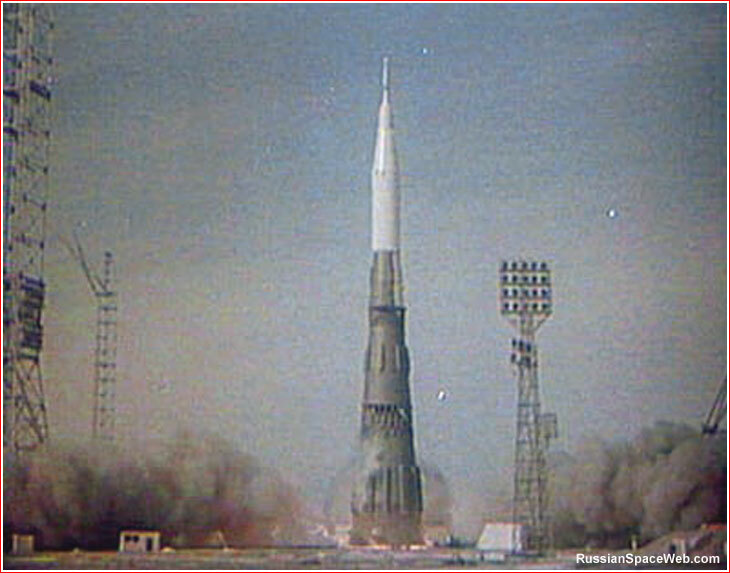 According to a secret Soviet government decree from Feb. 2, 1967, the first launch of the N1 rocket was scheduled for the third quarter of 1967, but even at the time of the document's signing nobody considered this deadline to be anywhere near realistic. (202) Since its inception almost half a decade earlier, the project had remained underfunded and understaffed. 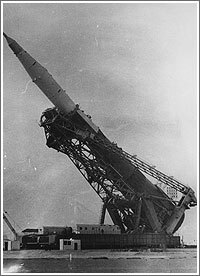 In a frantic effort to fill vacancies at the 6th Directorate, responsible for the assembly and testing of the N1 rocket at its launch site in Tyuratam, cadets at the Nedelin military engineering school in Rostov were ordered to graduate two months early -- on April 1, 1967. They were immediately dispatched to Tyuratam. However by the summer, when even top officials there were finally convinced that nothing was going to happen for at least a year, young officers were allowed to take vacation breaks. 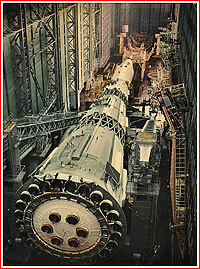 In the second half of 1967, a full-scale mockup of the rocket was assembled inside Wing No. 5 of the assembly building at Site 112. Designated 1M1 (where M stood for "maket" or mockup), the vehicle had many of the hydraulic and electric systems of the real rocket. 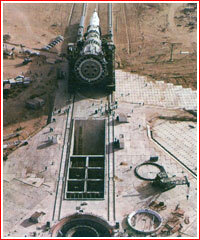 In parallel, a giant transporter, which was designed to deliver and install the N1 into vertical position on the launch pad, made several dry runs along two rail lines linking the assembly building with the pad. During its first launch, the five-stage N1 rocket was to carry a simplified prototype of the L3 lunar complex designated 7K-L1S, which would be around 30 percent lighter than the rocket's standard payload for manned lunar landing. (231) The payload section was fashioned out of the L1 spacecraft designed to fly around the Moon. To give it additional maneuverability during a more complex mission, it was upgraded with a custom-built attitude-control unit mounted on the very top of the vehicle. The flight plan called for inserting this improvised ship into lunar orbit, rather then simply swinging it behind the Moon. Inside its descent capsule, the spacecraft reportedly carried powerful cameras intended for photographing lunar surface and delivering exposed film back to Earth. (690) According to some sources, the unmanned crew capsule was equipped with an operational emergency escape rocket, however others claimed that the first rocket carried a mockup. Since the main digital computer for the N1-L3 complex wasn't ready, the flight would be controlled with a makeshift analog system. Moreover, the NK-15V engines on the second stage of the rocket were lacking their nozzle extensions. Both of these "fall back" solutions degraded the capabilities of the rocket, however with a reduced payload mass, all critical phases of the flight could still be tested. 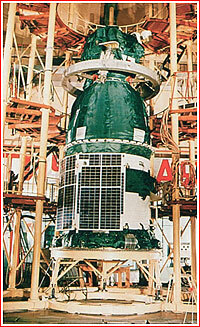 In case of complete success of the first and following launches, the actual lunar landing of Soviet cosmonauts was likely still at least two years away due to the need to certify all the other components of the L3 complex, such as the LOK spacecraft and LK lunar lander, and testing all phases of the flight. 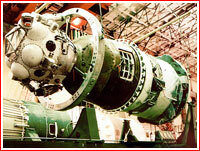 In the runup to the first N1 launch, the TsNIIMash institute, the main expertise center of the Soviet space industry, was assigned the politically sensitive task of putting an actual number on the expected reliability of the N1-L3 complex. 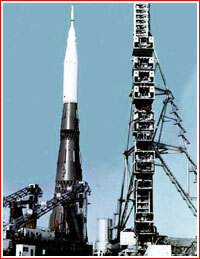 TsNIIMash made these estimates based on a very detailed failure record of 30 Soviet missiles and space launch vehicles. This allowed to predict that the probability for the first N1 mission to complete all its tasks barely exceeded one percent! Even with the most optimistic assumptions about the performance of all its stages, the N1 had only 16 out of 100 chances to fulfill its mission. 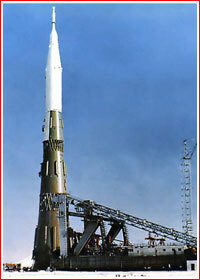 The critical meeting of the State Commission in Tyuratam on February 9, 1969, had the goal of confirming the official launch date for the first N1 rocket and clearing it for rollout to the launch pad on the same day. The heads of the N1-L3 development, Boris Dorofeev and Boris Filin, reported on the results of the tests, followed by short statements from other key project officials. The majority of civilian members of the Commission pressed for launch as soon as possible. (108) After all, with the lack of test facilities for a fully assembled rocket, only an actual launch could provide real-time data and reveal problems. That's how it had been done from the dawn of the Space Era, except that now the rocket was so much more expensive and required so much more time to build. Of course, mid-level telemetry specialists and military test officers in Tyuratam were well aware of numerous unsolved issues with the vehicle. 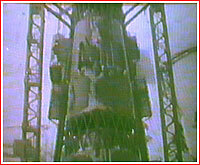 Many problems were apparently revealed even during the final integrated tests known as KI-1 and KI-2, which had just recently been completed in the assembly building. Not coincidently, the test officers who conducted these tests were excluded from the group of officials whose signatures were required on the final certification documents. However during the fateful meeting on February 9, General Kurushin, the military chief of the Tyuratam test range, made a shocking call against the launch, citing numerous problems in the launch equipment and in the rocket itself. Taken aback by the opposition at such a high level, Minister of General Machine-building Sergei Afanasiev, who chaired the event, called for a pause. During the break, Afanasiev, Mishin and the Central Committee's representative Stroganov, along with other industry officials pressed Kurushin and his military superiors to reconsider. Marshall Krylov, the highest military officer at the meeting, finally surrendered on the condition that all the issues cited by Kurushin would be resolved before launch. On the morning of February 21, all the population of the N1 assembly area at Site 112 and a residential area at Site 113, situated just south of the launch pad, was ordered to evacuate. As many as 50 railway cisterns arrived to the pad to fill the rocket with liquid oxygen and kerosene. The giant service structure then rolled away leaving the dark-gray rocket with a white payload fairing towering under sunny skies. 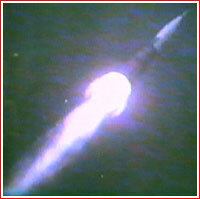 (202) Extremely cold weather, with temperatures falling to minus 44C degrees, and stormy winds accompanied the launch. In the fortified firing control room, Yevgeny Moisseyev, the Commander of the 6th Directorate, took the firing command position at the main periscope. Major General Anatoly Kirillov, Deputy Test Range Commander, and Boris Dorofeev, Deputy Chief Designer, were also on hand. A group of VIPs included minister Sergei Afanasiev and the head of TsKBEM Vasily Mishin. The "pusk" (liftoff) button was pressed at 12:17:55 Moscow Time. The 30 engines of the first stage needed 12 seconds to develop the thrust necessary to lift the giant rocket off the ground. For few more seconds, the rocket continued climbing slowly and then, to the horror of observers, started descending down, seemingly in one piece. A faraway flash of light confirmed its impact. In less than two minutes, several years of efforts by engineers and workers had been turned into heaps of twisted and burned metal. In the immediate aftermath of the accident, most witnesses could only guess what had made the rocket suddenly stop firing all its engines. The monitoring data showed that the vehicle reached an altitude of 14 kilometers and crashed 183 seconds after liftoff. (233, 231) At least one source claimed that the emergency escape system at the top of the rocket had fired successfully, pulling away the unmanned spacecraft and enabling its descent module to safely land under a parachute. (202) Very preliminary information showed that in the first seconds of the flight, engines No. 12 and No. 24 had shut down. Remaining 28 engines of the first stage ceased operation at T+68.7 seconds in flight. While officials were still in the firing bunker, Mishin was quick to lay the blame at the feet of Andronnik Iosifyan, the developer of the power supply system. Mishin claimed that turbo-generators producing electricity onboard had failed, after all, what else could stop all engines of the first stage at once? Trying not to "jump to conclusions", Sergei Afanasiev appointed Mishin to lead the investigative commission. Iosifyan and his deputy Nikolai Sheremetyevsky immediately proposed to attempt to recover the power generators in order to clear their systems and with them their good names. A helicopter and ground teams were sent to recover the debris scattered along the flight path. The main crash site of the rocket was found in the snow-covered steppe 52 kilometers northeast from the launch pad. Smaller pieces of the rocket apparently fell elsewhere. Despite this failure, multiple witnesses later remembered that most leaders of the project looked optimistic if not upbeat. After all, the rocket, which had been developed in such a haste had shown that it could lift off and fly, while its extremely complex flight control system had managed to keep it on course, if for only a minute. Engineers also received a wealth of real-time data on the loads impacting the rocket, its strength, acoustics and launch pad operation. (52) Mishin reportedly dismissed the failure as a random accident and many veterans of previous test launches had good reasons to hope that next time their creation would do better. The head of the launch complex development, Vladimir Barmin told his colleagues, that as long as they would spare his hyper-expensive ground facilities, they were welcome to continue business as usual. In an effort to analyze the flight, all telemetry records from the launch were shipped to a residential area of Tyuratam at Site 10. Here, engineers started scrupulous deciphering of the data. The telemetry confirmed that the power generators kept operating all the way until impact. Search teams also recovered the suspected machines, which were then rushed to their manufacturer in the town of Istra and after slight refurbishment they were successfully re-started, taking this hardware off the list of possible culprits. The film footage of the launch also showed that a flexible thermal cover on the tail section of the second stage had sheered off (691), but, again, it could hardly had any major adverse effect on the outcome of the launch. In the meantime, the investigation quickly focused on the behavior of the KORD diagnostics system, which was responsible for monitoring four crucial parameters of all engines onboard N1's three stages and had the capability to shut down individual engines which showed signs of a catastrophic failure. Ironically, Boris Chertok, who was in charge of the KORD system, years later provided a "guilty verdict" for his creation along with the most detailed public account of the launch. According to Chertok's memoirs, by the end of the fateful and long day of February 21, he already knew that KORD had commanded to shut down a pair of engines right at liftoff and "finished" the rest 69 seconds in flight. As a long winter night descended over Tyuratam, shocked KORD specialists gathered at Chertok's hotel room, trying to fathom the catastrophe, to brainstorm possible failure scenarios and their future actions. By the morning of February 22, the KORD team developed a list of tests, which would have to be conducted on the next rocket -- the N1 No. 5 -- as well as on their KORD prototypes at OKB-1 in Podlipki and at its simulator at the NIIAP design bureau in Moscow. On the agreement with Minister Afanasiev, Mishin ordered the creation of a small sub-commission on the KORD system, appointing Chertok as its head. After three days of sleepless investigation, telemetry specialists confirmed that all the engines of the first stage had been deactivated by the KORD commands. By the beginning of March 1969, after a repeated micro-analysis of telemetry tapes, followed by many discussions and calculations, a true picture of the failure started emerging. As it transpired, 0.34 seconds after the liftoff, as the engines reached full thrust, the KORD system had issued a faulty command to shut down engine No. 12. This command was triggered by electric interference originating in the KORD's wiring located near engine No. 12, when pyrotechnics blew up valves opening propellant supply. The oversensitive KORD interpreted the resulting power surge in its circuitry as a sign that the turbopump in engine No. 12 was spinning faster than allowed and was ready to explode. According to its algorithm, the KORD also turned off engine No. 24 on the opposite side of the rocket in order to maintain symmetry of the thrust. Experiments on the KORD simulator at NIIAP showed that the length of wiring near engine No. 12 made it especially vulnerable to this type of interference. However, a few other locations were also found to be susceptible to the same problem, yet, the remaining engines continued firing for another minute. Technically, the N1's first stage could still fulfill its mission, even with the loss of as many as four engines. However other investigators soon brought additional pieces of the puzzle in the complex picture of the failure, shifting the root cause of the problem from KORD to the engines themselves. As it turned out, six seconds after liftoff, high-frequency vibrations had torn off a gas pressure-measuring pipe located downstream from the turbopump in engine No. 2. To make matters worse, at T+25 seconds, a pipe for measuring fuel pressure before the gas generator had also broken off, spewing kerosene into the guts of the rocket. Inevitably, leaking gas with a temperature of 340 degrees had ignited the kerosene and started a massive fire in the tail section of the rocket 55 seconds after the liftoff. The flames had destroyed insulation on power-supply cables, which were running alongside KORD's cables. As a result, a high-frequency current reaching 1,000 Hz had "leaked" into the KORD sensors and had been interpreted as out-of-limit pulsations in gas generators inside the turbo-pumps of the propulsion system. At this time, a 25-volt signal, exceeding allowable current by 10 volts, had traveled across the entire web of the KORD network. The KORD had responded by shutting down all 28 engines at 68.7 seconds after liftoff. Moreover, the faulty command had also traveled up to the second and third stages of the rocket, leaving the giant vehicle completely "paralyzed." 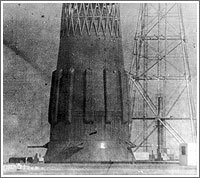 Chertok did not speculate whether the first stage would have had any chance to complete its job had the KORD system allowed the engines to operate with the fire raging in the interior of the rocket. On March 7, Chertok and his team presented their findings to the rest of the N1 engineering team. 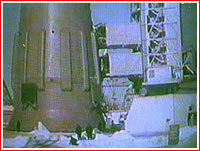 The root cause of the failure in the first N1 launch was thus declared to be resolved. (685) Not surprisingly, the program officials pressed for another attempt as soon as possible. 287 by 304 kilometers, inclination 50.4 degrees toward the Equator. The assembly of the N1 rocket at Site 112 in Tyuratam. 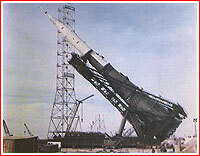 The rollout of the N1 rocket before its first launch in February 1969. N1 No. 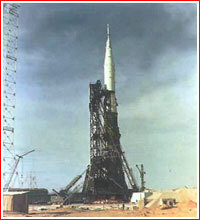 3L vehicle on the pad in the winter of 1969. The N1 No. 3L rocket lifts off on Feb. 21, 1969.